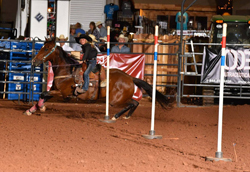 Here at Houck Horse Company, We have all types of horses including; Trail Riding, Team Sorting/Penning, Barrel Racing, Roping, Good Family Horses, and Prospects! 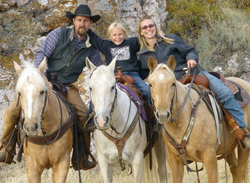 We have 30 to 40 horses on hand and for sale all times! 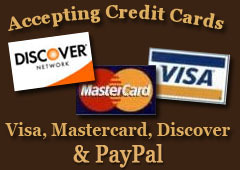 We Buy, Sell & Trade. 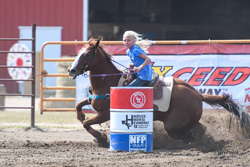 2018 WSCA Peewee Barrel Racing Champion Lana and Blazin Monkey Wrench and she also placed 3rd on Cartel. 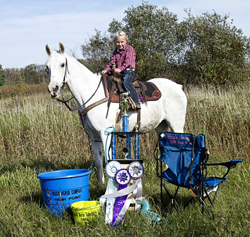 Lana and Splash placed 5th in Pet Pony Barrels. 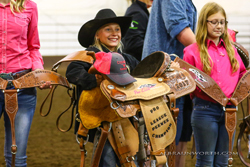 Lana winning a Saddle PEWC Pro League!!! 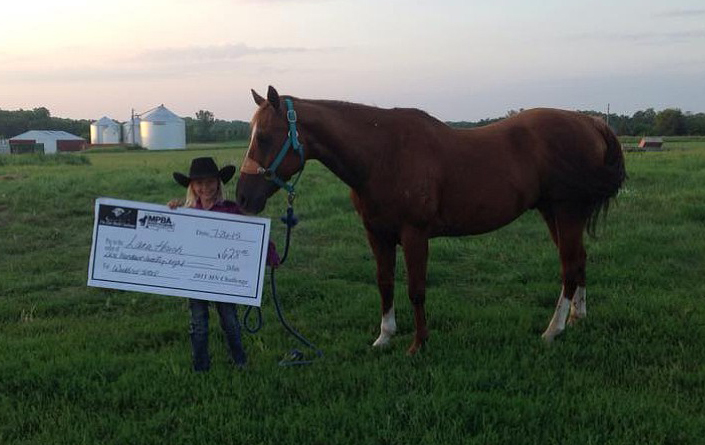 Lana had a great weekend at the PEWC World Finals winning big checks and placing second in the open 1D! Her weekend check total $1,841! 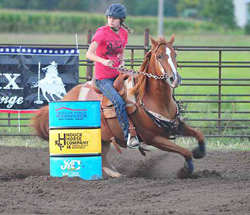 Lana Houck & Monkey WON the 1D Average in the Open at the Houck Benefit Barrel Race! 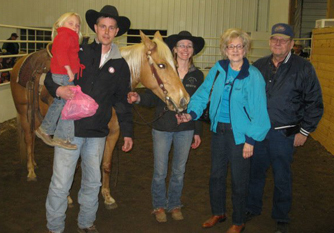 High Selling Pony at the R&J Super Select Spring Sale "Woodrow" sold for $4,000 to a family in MN. 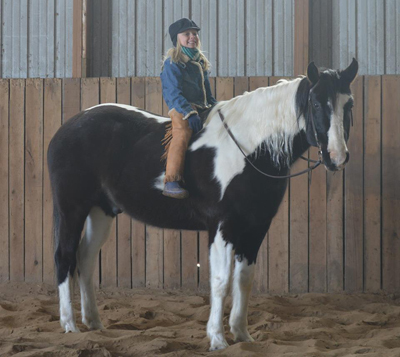 BLS Horse Sale, Billings Montana High Seller March Sale $20,000 WT Hancock Ace aka Ace~14 yr old APHA Black Tobiano Gelding. He is big, pretty and gentle. 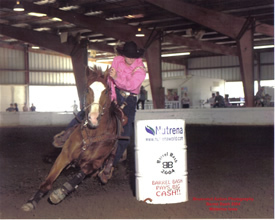 Lana had the FASTEST Time of the ENTIRE 1st go (all age divisions) in the barrel racing! 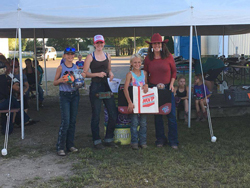 Placed 7th in the 1st go Pole Bending, 5th in the 2nd go Pole Bending, 8th in the Short go Pole Bending & RES CHAMPION WORLD CHAMPION Pole Bender. 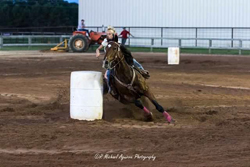 She placed 3rd in the Short Go & 4th in the WORLD in the Barrel Racing. 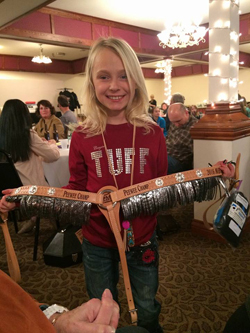 She won 8 Buckles & a set of spurs! 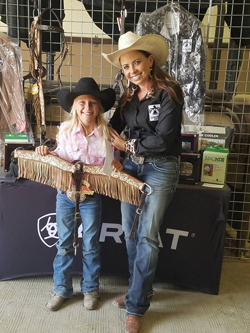 Gunslinger Res Champion winning a Rodeo Quincy breastcollar & $1,814! 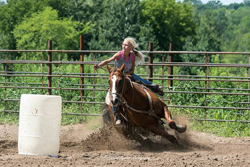 The Gunslinger barrel race was held in Montana, Lana & Cowboy had a GREAT run! 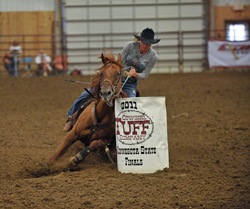 NWSC Barrel Racing Series Open Res Champion, Lana & Bay Mare. 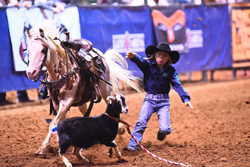 Lana at National Little Britches Finals; won the 1st go in the Barrel Racing, placed 12th in goats 1st go, 17th in Flag 2nd go, 4th in the Short Go in Barrels and ended 7th in the WORLD in Barrels! 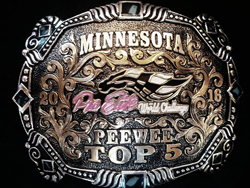 Lana ended up in the Top 5 Peewee Pro Elite. 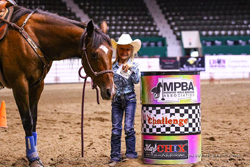 Lana is the MBRA Peewee Champion! 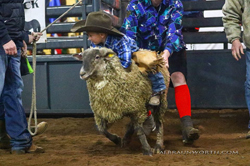 Shorty sold at the BLS Horse Sale in February 2016 he was the in the Top 20 horses sold, he sold for $10,500! 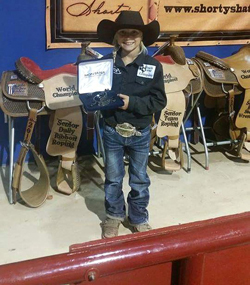 Lana at Pro Elite World Challenge Peewee Champion, winning a buckle & winning a BIG check in the Open $627! 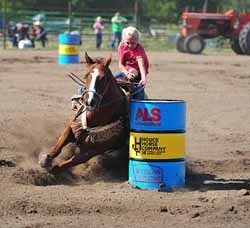 Lana had many interviews for being the youngest barrel racer at the Hamel Rodeo at age 6. 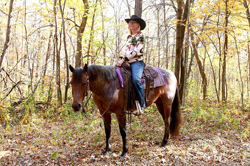 Here is her interview with Fox 9 and the interviewer is riding Jill's horse Coco, he had never even sat on a horse before this interview. 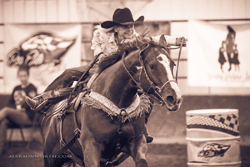 High Seller at the Diamond McNabb Ranch Horse Sale Douglas WY "Smokey" sold for $32,000 and he went to Montana. 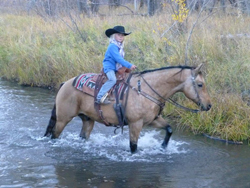 Lana and Magic Ginn, this horse brought so much magic, joy and happiness to our family. 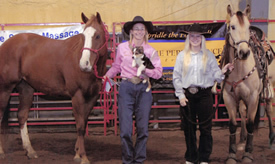 Lana and Ginn won many WSCA Championship Show ribbons. 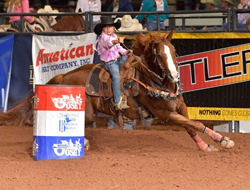 Lana won her first buckle on Ginn. 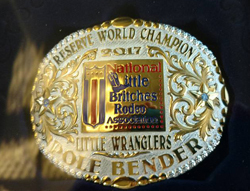 They were the MBRA Peewee Champions, Many High Point Championships, and the NBHA Youth State 4D Champion winning a SADDLE. 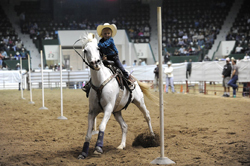 This horse will always hold a special place in our hearts. 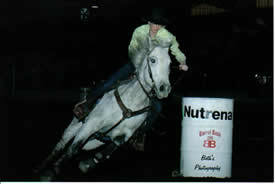 Jill and Webbs Classic Cody won many, many races. 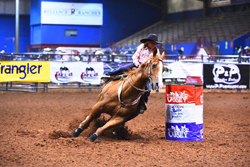 NBHA State Finals Fast Time, 4 Star Challenge 1st Go Champion, MBRA Rodeo year end Champion, Res Champion Effie Rodeo to list a few of their accomplishments. 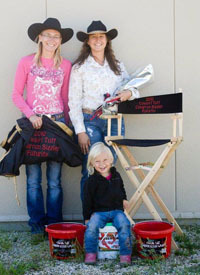 Jill and Heather Schonhardt 2D Futurity Champions. 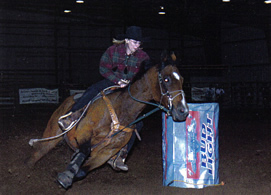 Jill was riding Tequlia (later sold to Miranda Clemens) and Heather was Riding Bu (a horse she purchased from Houck Horse Company). 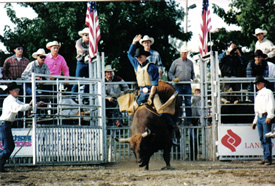 Nathan Jensen the strongest cowboy around. He lost his battle of brain cancer DIPG. He had a smile that would light up a room! 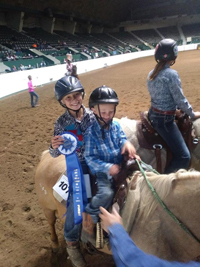 Nathan and Lukes Skywalker won a bunch of awards barrel racing. He was the Real Grit Champion. 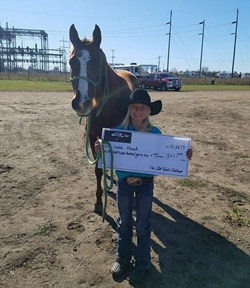 Houck Horse Company held a benefit for Nathan Jensen and with the help of many barrel racers and the horse community we were able to raise $19,300! 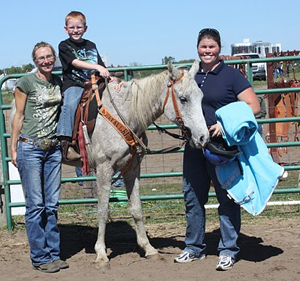 Lana Houck selling her pony "Sam" at the Billings Livestock Horse Sale, February 2011. 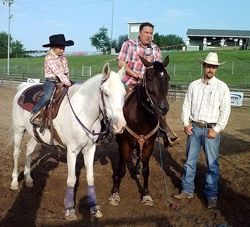 Sam was the High Selling Pony at the Sale, $3,100! 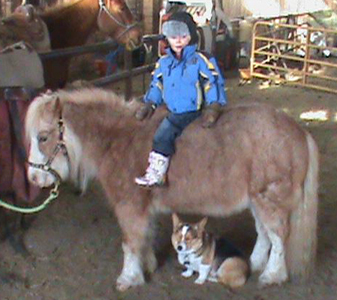 at Pine City, MN at age 3!! 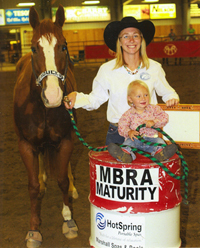 Jill and Short Go Guy MBRA Maturity Champions & NBHA State Champions winning a Saddle. He was later sold to a family in Montana $37,000. 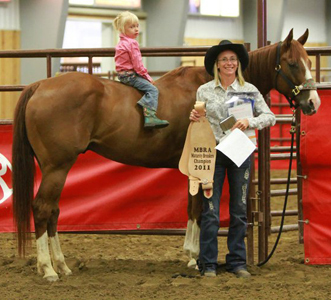 Jill won the the Great Plains Region 2 years and Res Champion 1 year. 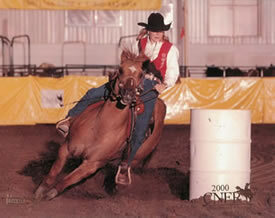 She won the titles with an amazing mare Peppy. 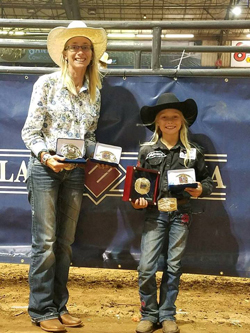 Jill won the MBRA Cahmpion, MRA Finals & Yearend Champion, MRA All Around Cowgirl and URA Year End Res Champion. 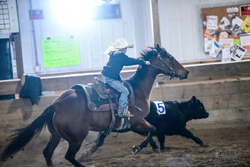 Jill won these titles with the great horse Bull. 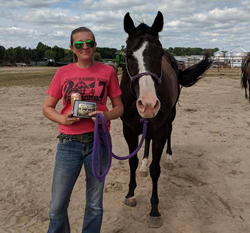 Jill winning a BIG Check $2500 at the Sho Me Slot Race Futurity ridding Cody War Jack aka Beau. 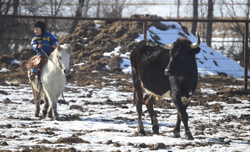 He was later sold at the BLS Horse Sale and was the High Seller at $16,500 and went on win many barrel races in Oklahoma. 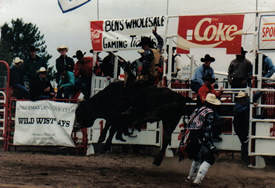 Jill ridding I Smoke Peppy Cowboy aka Sticks was a barn favorite and went on to accomplish many wins. 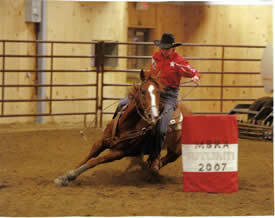 Here are a few of his accomplishments; MBRA Futurity Champion, NBHA wins, Barrel Bash Buckle winner. 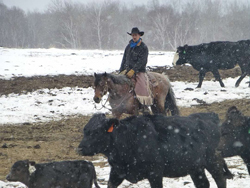 He was a High Seller at BLS Horse Sale selling for $20,000 and he went to California.